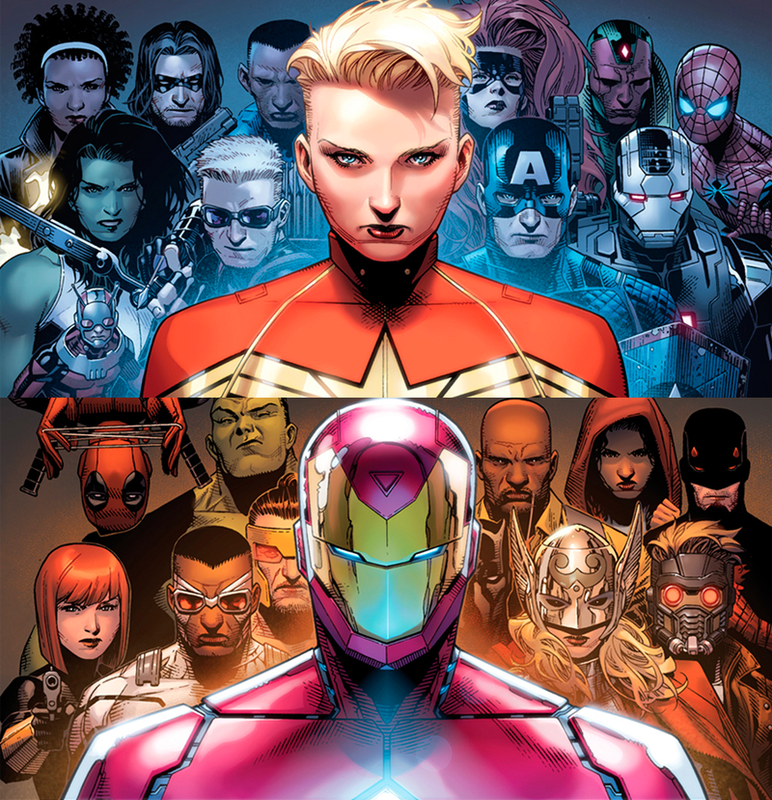 What is Civil War II and what happened to Civil War I? Civil War II is one of the latest events in the Marvel Comic Book Universe. Following on from the events of the Secret Wars and all the new characters being introduced into the current continuum (such as Ms. Marvel and the Miles Morales version of Spiderman). Civil War II focuses on conflict between Iron Man and Captain Marvel as they fight over the future. As with all the best graphic novels a perfect blend of humour, colour and storyline all weave together. Providing an entertaining ride, that also contains grandiose themes and ideas. The overarching idea of Civil War II is the theme of responsibility. This is the theme of many excellent Marvel comics. Here, the responsibility of individuals with regards to the future is the discussion point. And whether individuals can be trusted with their power and abilities to do what is right. This is an issue that is increasingly relevant in modern society. As countries struggle against the threats of terrorism and the demands of personal freedom. Can individuals maintain their own personal liberty and yet live in a society of increasing surveillance? Should an individual be arrested or face justice (Minority Report style) for something that they might do? Rather than something that they are plotting, arranging, attempting or committing? 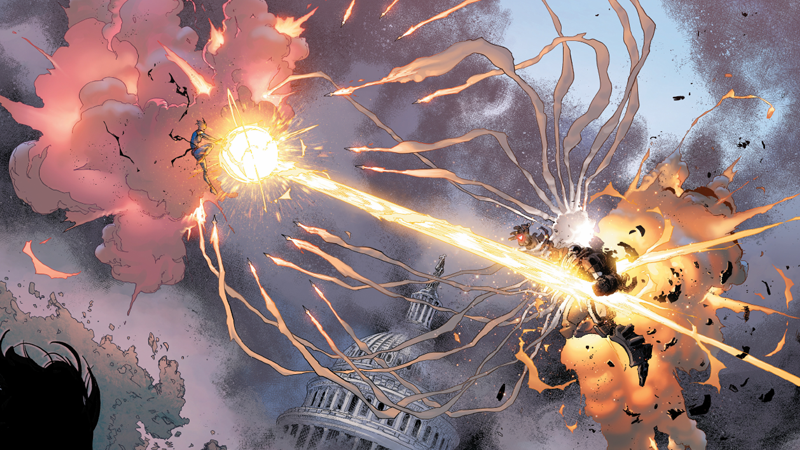 The narrative follows the Ultimates and Inhumans as Captain Marvel leads the fight. With her battle against potential futures. Captain Marvel’s character is explored to its fullness and is pushed up against the stubborn nature of Iron Man. All when the Inhumans unearth a new character who can foretell the future. Captain Marvel sees this as a blessing, while Iron Man is wary of how certain a future can be that is only foreseeable by one particular individual. Each are right in their own way. With the story detailing precisely what I love about these two character. In the wider world, audiences reading this will find the correlation between real-world events somewhat intriguing. The idea of profiling – keeping tabs on all potential villains and possible events – is one which has been discussed in modern society. Even the very use of social media in this changing world is confronting when one considers the potential for justice organisations to use this information in a way which threatens our liberties. As with Captain Marvel – profiling and defeating threats before they occur may be for the betterment of all humanity – but how can people live in freedom under such a system no matter the good intentions of such a tyrant? And that is the same excellent question and idea posed by another excellent graphic novel series – Injustice. For the themes it tackles this is well worth reading for any fan. As well as for the stunning artwork, and for the plot. It is full of depth of insight, beautiful graphics and colour palettes that bring the story to life. All in fast-paced action. This is from my view, a must read modern graphic novel.